Pear and Mango secrets for healthy life FREE, What do we get from Mangoes and Pear, why to eat mango, why to eat pear, benefits of mango and pear, healthy astrology by astrologer.
. In the monsoon days pear protect us from many harmful diseases. It is as fruitful as apple and available easily every where. It contains proper enzymes, fibre, vitamins, antioxidants etc. It also control the cholesterol and cellulose in blood which further help to control sugar and heart problems. It also keeps the digestion ok. If we eat pear regularly in the monsoon days then no doubts it will keep us healthy and fit. Now let's see some core benefits of eating Pear. 1. If any one have cough problem then by taking fresh juice of pears 2 times a day will help to take out the cough. 2. It is a medium of instant energy, Whenever you feel tired then do eat pear/Nashpati which will give you energy instantly because Pear convert the Glucose into energy in the body. 3. It's nature is cool so by eating pear temperature of body gets down and so it is also helpful to control fever. 4. If there is problem in digestive system then it is good to drink juice daily, by this soon relief will be experienced. 5. Pear also is a source of natural fibre so it helps to avoid constipation, pain in stomach and other digestion problems. So eat pear and keep yourself healthy. Eat pear and distribute pear in monsoon days to enhance luck. For the decades Mangoes are treated as the king of fruits. No otherthings has taken the place of this juicy, tasty and fruitful fruit. It is not only makes our healthy but also use to increase the beauty of skin. There are too many benefits of eating mangoes. Although over eating of this fruit lead to dysentry. So avoid over eating to keep your self fit and fine. 1. It is very helpful to maintain the resistant power in the body because it contains tartric acid, malic acid and citric acid which maintain the salt and alkaline reserve in the body. This is necessary to maintain the resistant power. 2. Mango is boon for eyes because it is a good source of Vitamin-A which increases the brightness of eyes and also helpful to keep the eyes fit and fine. 3. It is also good for sugar patients because it contain beta kerotin which is helpful in controling the insulin and diabetese related problems. 4. Mango is good for immune system as it contains Vitamin-A, Vitamin-C, Vitamin-E, 25 types Kerotinydes which control the hormonal dis-balance and keep the immune system strong. 5. It is also very good for Gums and Teeth as it contains Vitamin-C which keeps them healthy. 6. We can also get relief from digestion problems as it contains the galic acid, digestive enzymes and fibre which are very necessary for a good digestive system. 7. It is also helpful to reduce the cholesterol. 8. It is a very good product to maintain age. It clears the skins and keeps it healthy and strong so it is also used to increase beauty. For more details related to how to increase beauty through Mango, read the related article given below. So if you are not eating mango then you are leaving some important thing in this life. Eat fresh and healthy mangoes for healthy life, beautiful life and fresh life. 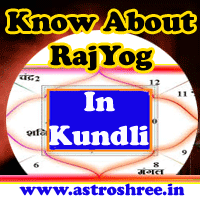 And if you want to know the secret of your horoscope/kundli/birth chart, if you want to know that why you are not getting the fruits of your hard work, if you want to know the best ways to make your life fruitful then do contact Astrologer Astroshree. Get solutions of your all types of problems through astrology, know the secrets of planets, know the power points of your life, know the natural ways to keep yourself healthy, fit and fine. How To Increase Beauty With Mangoes?